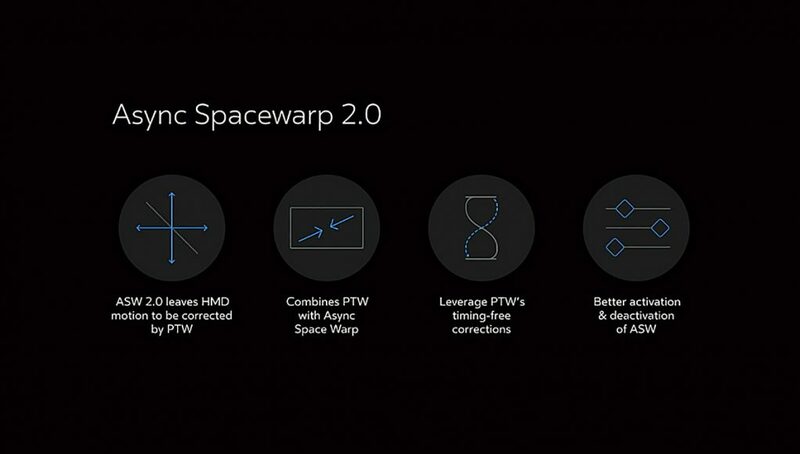 Oculus today announced the release of ASW 2.0 on PC for the Rift. 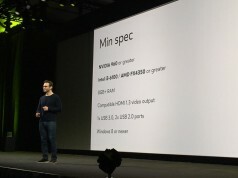 ASW combines both ‘Timewarp’, which reduces latency, and ‘Spacewarp’, which smooths frame motion in cases where an application can’t maintain a steady 90 FPS to meet the Rift’s 90Hz display—and even enables lower-end hardware to run VR applications at 45 FPS indefinitely, while smoothing motion between frames to maintain acceptable visual performance. Timewarp (also called reprojection) samples the position of the headset at the very last moment, after the latest frame has been rendered, and ‘warps’ the frame to better match the motion of the user’s head just before the frame is sent to the headset’s diaplay. 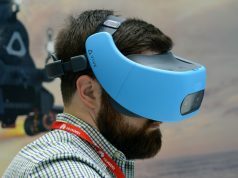 This significantly reduces perceived latency; Timewarp and similar techniques have become essential to hitting a critical latency threshold (commonly cited at 20ms) to maintain VR comfort for most users. In ASW 1.0, Timewarp could only be applied to headset rotation, while any positional movement was left untouched. One of ASW 2.0’s big upgrades is that Timewarp can now also act on position, which means reduced positional latency too. Positional Timewarp is achieved by leveraging depth information from a VR application which allows the frame to be correctly warped at the last second to account for positional movement. 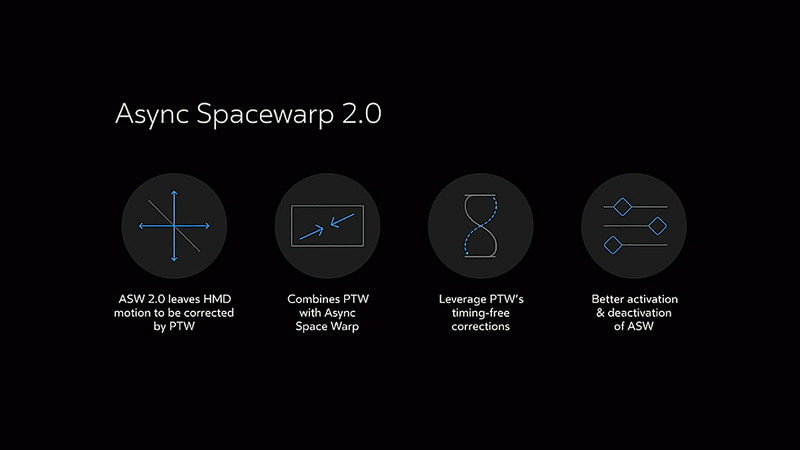 Oculus says that ASW 2.0 is also better at handling performance fluctuations than ASW 1.0. In the original implementation, ASW 1.0 works by reducing an application’s framerate to 45 FPS, and then interpolating between frames to maintain smooth motion despite the app running at half of the normal 90 FPS. 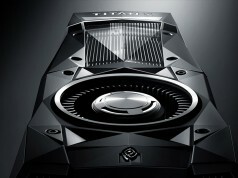 This aids applications which sometimes fail to maintain 90 FPS—by maintaining a smooth view inside the headset to keep users comfortable—and also allows lower-end hardware to run VR applications at 45 FPS indefinitely, reducing the hardware requirements for the Rift (which Oculus refers to as ‘Minimum Specs’ vs. the ‘Recommended Specs’ which target continuous 90 FPS performance). Oculus says that while ASW 1.0 performs well as long as an application can maintain 45 FPS, it can’t maintain smooth motion in cases where framerate drops even further. Another benefit to incorporating depth information into ASW 2.0 is the accuracy of the interpolated frames. ASW 1.0 only has the ‘flat’ frame to work with, and has to guess what the next frame should look like based on the pixels of the prior frames. Similar to video compression artifacts, visible errors are sometimes made when the system doesn’t correctly interpret the context of the frame. In the video above you can see how ASW 1.0 is fooled into thinking that some parts of the black lines should move more than other parts. Understanding the depth of the scene allows ASW 2.0 to realize that the black and white lines are actually part of the same plane and should move together; the result is nearly flawless. It isn’t clear at this point if ASW 2.0 was released to the main branch of the Oculus software or if it is still part of the Public Test Channel (which will eventually go live for all users at a later date). We’ve reached out to Oculus for confirmation. Update: We’ve confirmed that ASW 2.0 is live for all users running the latest Oculus software update (not the Public Test Channel). Not all applications will work with ASW 2.0 right out of the box, but many will. Oculus says that “most Rift apps on the Oculus Store built on Unreal Engine 4 and Unity already provide the depth information required to make ASW 2.0 work,” but those that don’t will need to be updated to take advantage of the functionality, otherwise they will fall back to ASW 1.0. Generally speaking, applications which have been made to work correctly with the Oculus Dash interface (such that the app is seen in the background when Dash is called forth) are already built correctly to enable ASW 2.0. I don’t get why they even bother calling it “2.0” when they don’t even show any measurable improvement. A couple of cherry-picked gifs aren’t going to impress anyone. Where are the actual numbers? 5% faster? 10%? Or what? Learn to respect freedom of expression. You are a fanatic Rift fan. He/She should follow your example of respecting freedom of expression lol. Having seen the artifacts in ASW 1.0, I think the GIF in the article (which Oculus provided) is a great illustration of the improvements in issues which were previously problematic. There’s a very clear and noticeable improvement. This isn’t something that can or needs to be quantified with percentages. With the old ASW you could see ripples/artifacting when it was engaged, but with this new version those artifacts are significantly reduced. The images in this article show a pretty good representation of it. These are amazing techniques and amazing results. One of the clear reasons Oculus leads in the VR industry. Is your reply 12% or 15% more stupid than horseshit? They didn’t have to demonstrate it for version 1.0 why would they for 2.0? But they did demonstrate it for version 1.0….. I’ve seen the demo’s when they released the first version. OK well it doesn’t actually appear to be in the latest update anyway. It impressed me, because I understood what I was looking at. Now having seen the results first hand, I’d say it easily lives up to my expectations. It has nothing to do with speed… if you want numbers, I’d spitball at “an 80% reduction in estimation artefacts”. Most importantly, as they showed in their “cherry-picked gifs” – cherry picked to show about the worst-case scenario for the previous algorithm – self-similar, repeating, long/thin texture patterns… that type of glitch is almost entirely eliminated. Perhaps “a 99% reduction” if I had to guess at a number. You can finally use ASW in cockpit/vehicular simulators, and not have the instrumentation/dash readouts glitch out constantly. what version of home are you running? I try red matter with the new beta update & i still see the distortions when i bump up the pixel density. It’s 2.0 freakin times BETTER, mkay? This whole thing is just a little confusing, since Async Space Warp was supposed to account for your positional head movement.. or at least that’s how they pitched it before. I guess it wasn’t as fully featured as we thought. This should be a great improvement. Seems like ASW 2.0 is more like “ASW finally works as originally intended”, and the previous version was in fact mostly a fancy 2D motion-analysis algorithm. Can’t complain though… I tried out the new version in Assetto Corsa Competizione today, and it’s damned impressive. Definitely worth the development time it took to get there. Hoping they keep working on it and tuning, as there’s still a few artefacts here and there, but certainly a big leap forward. My understanding is that ASW 1.0 did account for positional movement in synthesized frames when frame synth was activate (app at 45 FPS), however it didn’t do positional timewarp (which is adjusting the view at the last second to reduce latency). ASW 2.0 now has positional timewarp as part of the normal timewarp process (even when apps are at 90 FPS), which now handles positional movement for both normal and synthesized frames. Ah, that makes pretty good sense. So ASW was more of a side-grade at the time, and now we have the benefits of both. Does anyone know if this is live on the non test version of home? Yes it’s live for all. Really? but only PTC got an update although nothing in the release notes about ASW? Also i still get distortions it doesn’t look any different to me at 45fps. I asked support if they could confirm what version of Home ASW2.0 is in & they don’t seem to know. Some clarification on this would be greatly appreciated as if it is supposed to be working it isn’t for me. I’d love to see a list of ASW 2.0 compatible games in an article. That’d be a huge help! Holy crap. Just tested it and it makes wonder. Nothing short of black magic!